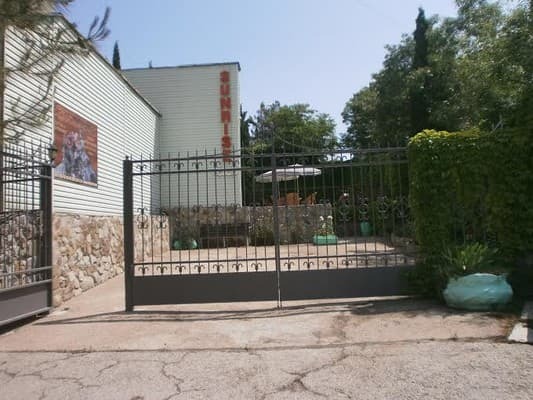 Hotel Sunrise is located in the village of Partenit, 300 meters from the sea and 100 meters from the central bus station and the entrance to the sanatorium "Crimea". The modern building of the hotel has thirteen 2-3-4 local rooms. Constantly there is hot and cold water. All rooms have new furniture, appliances and bathrooms. 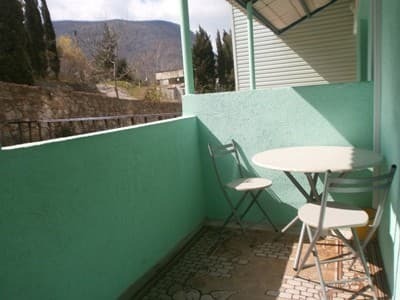 All rooms have a large area, as well as a terrace for relaxation. 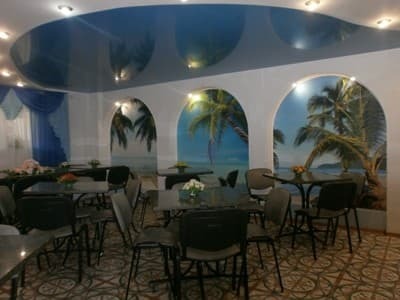 The hotel "Sunrise" has its own cafe, where you can order a comprehensive meal. 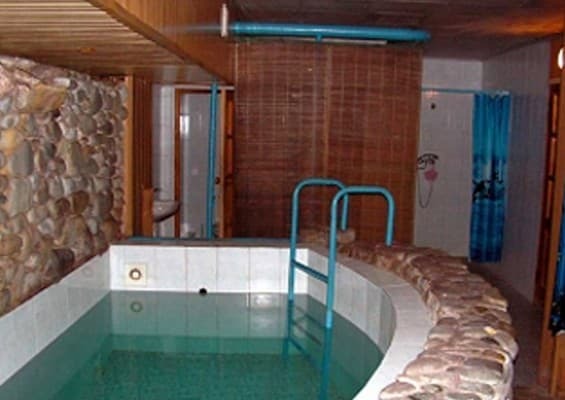 On the territory there is a sauna with a swimming pool. At will guided tours of the South Coast, scuba diving, sea walks and much more. The distance to Alushta is 15 km., Yalta - 25 km., Simferopol - 70 km. PRICES MAY CHANGE, YOU NEED TO UPDATE THE OPERATOR'S INFORMATION! 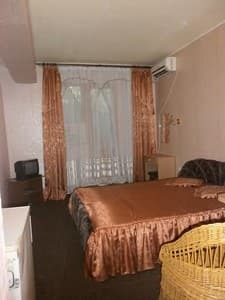 Description of the room: All rooms of this category are equipped with modern furniture (double bed or 2 single beds) have a balcony or terrace. Hot and cold water constantly. There is the possibility of additional accommodation. 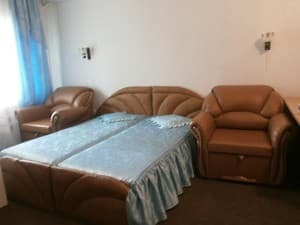 Description of the room: One room, equipped with comfortable furniture and all necessary accessories for a comfortable stay. Check arrival: from 00:00 - 01:00 hours. Check leaving: to 12:00 - 13:00 hours. The cost of extra bed is 25% of the room price. Children under 7 years old stay free of charge. 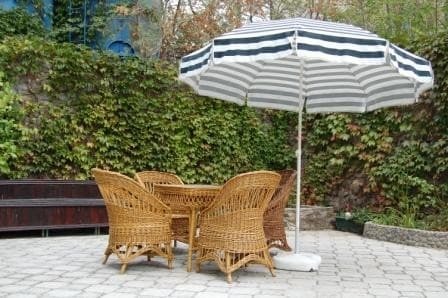 In the center of the village Partenit, 300 meters from the sea, 25 km from Yalta, 15 km from Alushta. Near the railway station of Simferopol (exit to McDonald's, in the direction of the tower with a clock) are bus and trolleybus stations. From there you can get to Partenit by shuttle bus, minibus taxi or trolleybus number 51, which go to Yalta. You can also get to Alushta, and already in it to change to minibus to Partenit or Gurzuf.